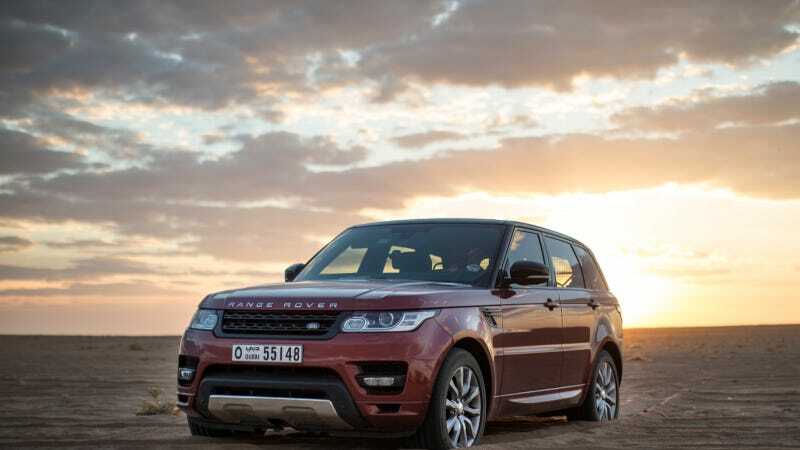 The new Range Rover Sport has set the fastest recorded time for a land vehicle crossing of the 'Empty Quarter' - one of the harshest and most challenging desert environments on the planet. The Empty Quarter - or Rub' al Khali - is the largest sand desert in the world and the second largest desert after the Sahara. Intensely hot by day with temperatures exceeding 50°C, it is also dangerously arid. With no reliable water sources and an ever-shifting terrain, it provides a true test for man and machine. The drive team completed the journey from Wadi Adda Wasir in Saudi Arabia to the border of the United Arab Emirates in 10 hours and 22 minutes at an average speed of 51.87 mph (81.87 km/h), covering a distance of 849km - the route dictated by the conditions on the ground. The time was set by a standard production new Range Rover Sport with a 510PS 5.0-litre supercharged V8 petrol engine, running standard tyres. The only modification to the vehicle was the fitment of an underbody protection plate. Torrallardona said: "The challenge of the desert is like nothing else, it is a brutal, unforgiving and sometimes deadly environment. Desert driving requires a unique combination of speed, finesse and technical skill. It is crucial that you tackle the dunes with precision. Knowing the right time to go full throttle and the right time to slow down, takes experience and clear judgement. This unique way of driving requires a vehicle which has the same skillset - it must be both incredibly fast but also agile, responsive and well planted. The Range Rover Sport is exactly that. It is massively capable and is truly the best tool for conquering the desert."